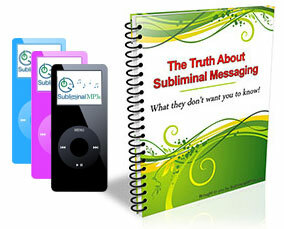 Wash away your blues and be happy with our powerful subliminal messages. Primarily it will put a smile on your face and pick you up if you are feeling down or upset. It will make you think of the good things in your life and be grateful for them, rather than thinking of the bad. It will make you think of all the possibilities that lay ahead of you, and help you to look forward to the future and help you to think much more optimistically. It will balance your mind and help you to think rationally and clearly - to realize that not everything is bad and that there are plenty of things to be happy about. The simple positive suggestions within this album are designed to lift your mood and make you happy. It is not a complete, or instant solution to your problems (there is no such thing! ), but over time you will be more positive, and a happier person. This album is quite fast acting. When you first start listening you will notice the effects straight away. Your mood will lift, and you will feel more positive, and happier about your future. You will stop dwelling on the negative and start to think more pro-actively. Over the longer term you will find yourself naturally thinking this way all of the time - you will have a natural happy and upbeat attitude, and you will find it takes a lot more to upset you - you will be more balanced, and happier in all areas of your life. Forget anti-depressants, try this natural solution first - change your outlook on life and simply BE HAPPY with this unique subliminal mp3 album! This album works hand in hand with our positive attitude and stop your worrying albums to help you look on the bright side of life, forget about your worries, and lead a happy life.